TimeLive – Web-based Timesheet Software tool for timesheet automation, billing automation, expense management, employee attendance automation, project management and task management. Free on-premises and online (ASP) version. Both on-premises and online timesheet versions are free for 5 users. – Fully integrated project management and collaboration tool. – Personalized overall summary view of projects for Project Manager and Team Lead. 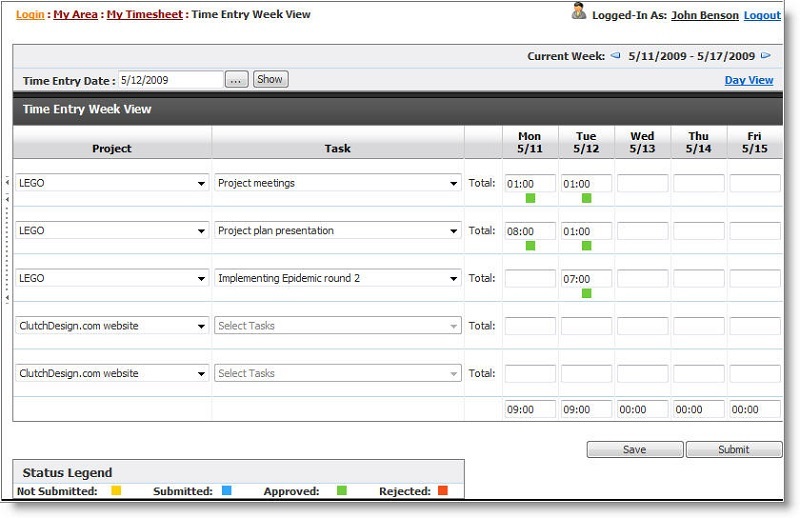 – Email notification of different timesheet and project activities.